Aamir Khan movies are hugely anticipated by the people of India, and for good reason. He has given us critical and financial hits like ‘3 Idiots’, ‘Taare Zameen Par’ and ‘Dangal’. And for his 2018 venture, since he was teaming up with Amitabh Bachchan, the hype was through the roof. However, after the first trailer hit the cyber-space, many were disappointed by the overall look and feel of the movie. A huge section of the internet was convinced that it was a rip-off of the ‘Pirates of the Caribbean’ franchise. And going by the initial responses, they weren’t wrong. 4. Now the ship has sailed. Direction is very poor by Vijay Krishna. Script is also below average!! Some scenes are very illogical. Editing work is also very bad. It could've been 20 minutes short!! 6. Jokes are not a good substitute for dialogues. 7. Woah! That bad huh? 8. Even Rajeen couldn’t handle it. 10. It looks like torture. 11. The only good decision to come out of today. After watching #ThugsOfHindostan the government has decided to unban Saridon. 12. At least the dhoka was Ganga sized. 14. So, the only way to watch this movie is with alcohol? Got it. 16. This should’ve been a disclaimer before the movie. 17. This review session is turning out to be brutal. 19. Expectations have been trampled upon. 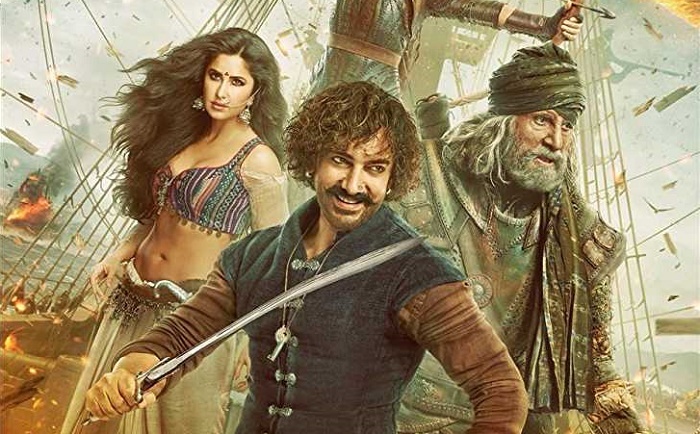 #ThugsOfHindostan One of the most boring films of 2018! Duration of 2 hr 44 mins and ZERO entertainment. What a royal waste of money and resources. All those who’ve booked their tickets for ‘Thugs of Hindostan’, please accept my condolences. And for those who are still on the fence, are you going to give it a shot?